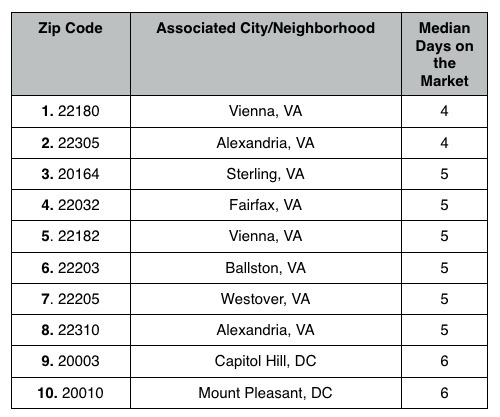 Market indicators point to a healthy spring market in the Washington DC Metro Region. Sales and median prices continue to rise, and new contract activity is up after several months of declines. The low inventory of homes for sale coupled with strong demand on the buyer side is fueling much of the market growth. While active listings remain historically low, new listings spiked in April, possibly an early sign of a changing pattern. The rise in new listings could indicate that sellers are starting to be drawn into the market by higher price points and faster sale times. After a slow start to the year, demand continues on an upward trend in the Baltimore Metro Area housing market. Sales and new pending contracts both rose at double-digit rates relative to last year, evidence of improved confidence among buyers. Despite the demand pressures, the median price remained flat in the region, rising only $500 from last year. There were increases in median price at the jurisdiction level, however many were slower than in recent months. 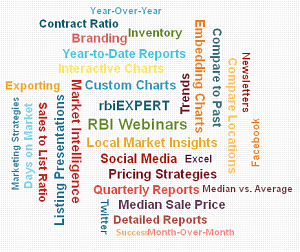 Join us for a comprehensive overview of the power behind RBI's market trend data. Learn how to print Reports-on-the-Go in just 3 clicks. Easily add local market trend charts your listing presentation, CMA, website or blog and have them update automatically every month. All data comes straight from MRIS. Create effective marketing plans. Cement your relationships and remain top of mind with your clients and prospects by providing the latest local market stats, reports and interactive charts.